If you are a healthcare professional and would like to obtain copies of our detailed AquaMaster assessment forms and Codebreaker these are available for download in the Professionals area of our site, please log in to your account or request a account set up here. Free of charge demonstration visits are available upon request, please contact our customer services team on 01869 365500 opt 1 or email us at sales@chilterninvadex.co.uk for details. 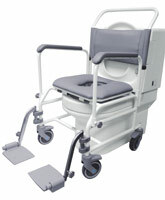 The AquaMaster range of shower commode chairs provides a rigid one piece base frame with modular elements to allow easy replacement of components to suit the users changing needs. Seats, armrests and footrests which are interchangeable. 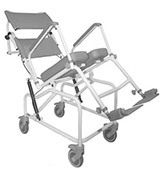 The chair also features a wide range of accessories and is available as a made to measure piece of equipment, specially manufactured at our Oxfordshire facility to meet individual needs. The coated frame features an anti-microbial element which is proven to destroy 99.9% of harmful bugs including MRSA. Designed in conjunction with Clos-o-mat, the AquaMaster C range of shower chairs has all of the main features of the popular AquaMaster range, re-developed to complement the Palma Vita automatic toilet. The chair features a rigid one piece base frame. 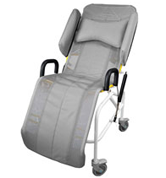 Removable armrests and footrests swing away to aid transfer. 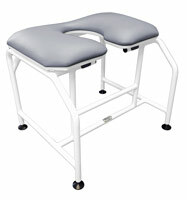 Several footrest options are available, each is height adjustable to ensure that the user is in a comfortable position. 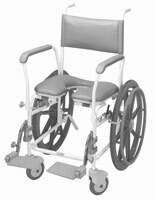 Seats are available as flat padded, full ring aperture, horseshoe or side access with a range of aperture sizes to suit the user. Options extended seats and pressure relief foam. 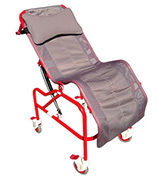 Can be used over a toilet or provided with a commode pan and cradle. 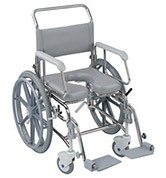 Self propelled models can be provided with 20", 22" or 24" wheels. 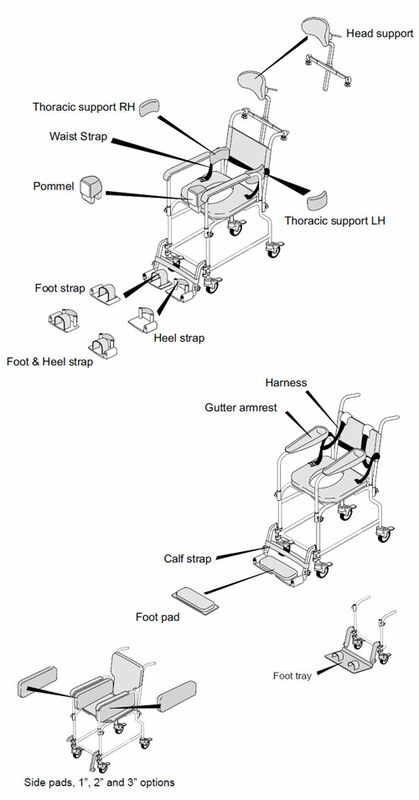 Attendant propelled models are provided with four braked castors, directional locking castor available on request. 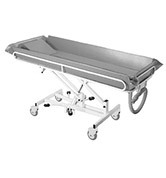 Bench can be used over a toilet, in a shower or as a bedside commode with the addition of a commode pan and support.